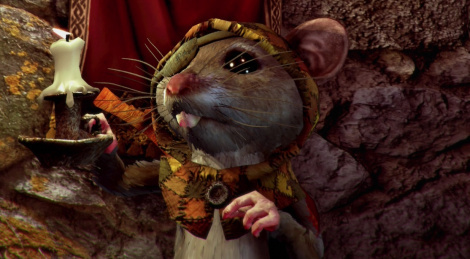 The cute little mouse of Ghost of a Tale has just sneaked out of Early Access and we can't recommend it strongly enough, especially if you like mice, steath, beautiful graphics and splendid animations. The game is quite a technical achievement for such a small project a,d the icing on the cake is that it's actually great to play. We just love this little guy! What a lovely game, and the visuals are outstanding, so bucolic. What, it's finally out? Had in on my wishlist since... 25.07.2016. I think it was shown at E3 2016 for PS4 or whatever platform in one of those highlight reel ads. the fov of this game is really uncomfortable. I am pretty sure it's a game design decision but makes playing the game annoying. Looks good. I dunno if it's the FOV or the fact that the character stands further from the camera so that the point of rotation for the camera is further away than most games. Doesn't seem that bad to me.